DBS yesterday (July 24) announced the launch of Southeast Asia’s largest bank-led property marketplace. It is also the first bank in the region to launch an online property marketplace that offers listings from both agents and owners. DBS Property Marketplace has partnered major online property listing platforms EdgeProp and Averspace to provide some 100,000 listings and will soon include listings from SoReal. The site comes with Singapore’s first home financial planner that helps first-time home buyers determine their “affordability” price range based on their monthly cashflow, calculated from both their CPF and cash deposits. The marketplace will also be able to facilitate end-to-end paperless transactions, from cheque-free payments to digital documentation. In addition, the site will provide all the essential services buyers need to settle into their new homes by partnering with service providers, including utilities; digital home solutions such as internet and TV services; renovation; cleaning and moving services. 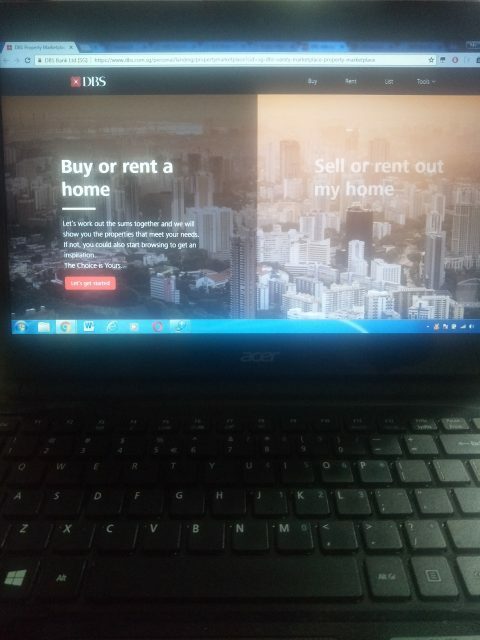 Following the Monetary Authority of Singapore’s (MAS) announcement in June 2017 proposing to allow banks to operate digital platforms that match buyers and sellers of consumer goods or services, DBS became the first bank in Singapore to launch an online consumer marketplace with DBS Car Marketplace in August 2017, followed by DBS Electricity Marketplace in March 2018. The bank is uniquely well-placed in the marketplaces space as it banks most of Singapore – five million retail customers and six in 10 SMEs bank with DBS. This enables DBS to build marketplaces with robust ecosystems in partnership with SMEs and with the aid of consumer insights. In addition, DBS’ sites are among the most visited in Singapore, allowing the bank to leverage its popular online channels to attract and redirect customers to relevant marketplaces for their lifestyle needs. Paul Ho, chief mortgage consultant at iCompareLoan.com, said that it is understandable that banks want to cash in on the online property marketplace trend. Mr Ho added that smaller online property marketplace platforms and startups will especially be affected as banks like DBS roll out online platforms. But you will still need a online property marketplace where opinions are not dominated and curated by 1 big player, as this may be to the consumers’ disadvantage. Mr Ho believes that hacks such as what happened at SingHealth is no reason for banks such as DBS from taking to the online property marketplace which utilise personal records of account holders. “Whether we like it or not, more and more data is being volunteered or crawled, scraped or sold across multiple platforms, such as those in the Big data and Artificial Intelligence, so there is no real privacy to speak,” Mr Ho said.